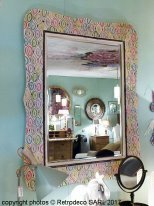 At the same time useful and decoration accessories mirrors are a key part of your interior. 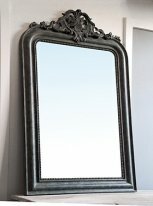 When it comes to large mirrors we speak then of exceptional decoration objects adapted for large rooms. Beyond their utilitarian role, they will enlarge a room by creating space and bring light by games of reflection. 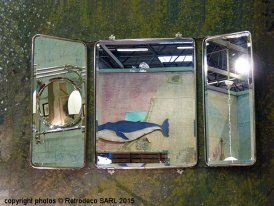 Of various styles as well as charm, brocante, industrial or ethnic chic, our mirrors will enchant you by their design, their patina and their quality of manufacture. 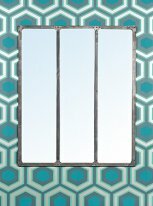 We particularly recommend the medium workshop mirror and Chehoma tryptic nickel mirror. For models of smaller sized mirrors adapted to smaller parts, you can also consult our selection of mirrors in the section wall decoration.